We need your help in celebrating on June 15! 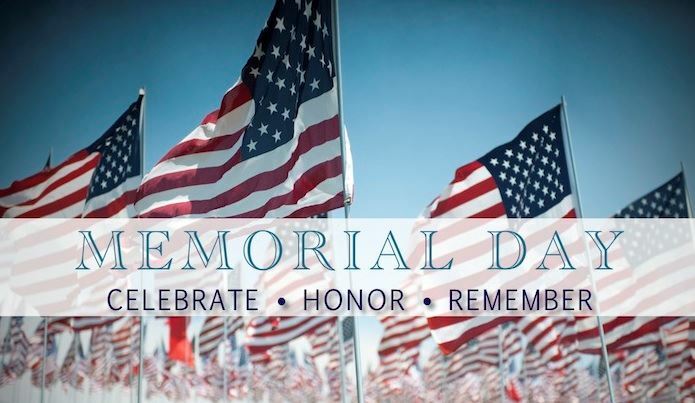 Memorial Day is an American holiday, observed on the last Monday of May, honoring the men and women who died while serving in the U.S. military . Memorial Day 2018 occurs on Monday, May 28. Originally known as Decoration Day, it originated in the years following the Civil War and became an official federal holiday in 1971. Join the Fun on June 15th! Join us on June 15th at the Woodlands Inn & Resort to celebrate our Ten Year Anniversary ! Reservations can be made at www.vimwb.org or drop your rsvp card in the mail. The event promises to be out of this world! 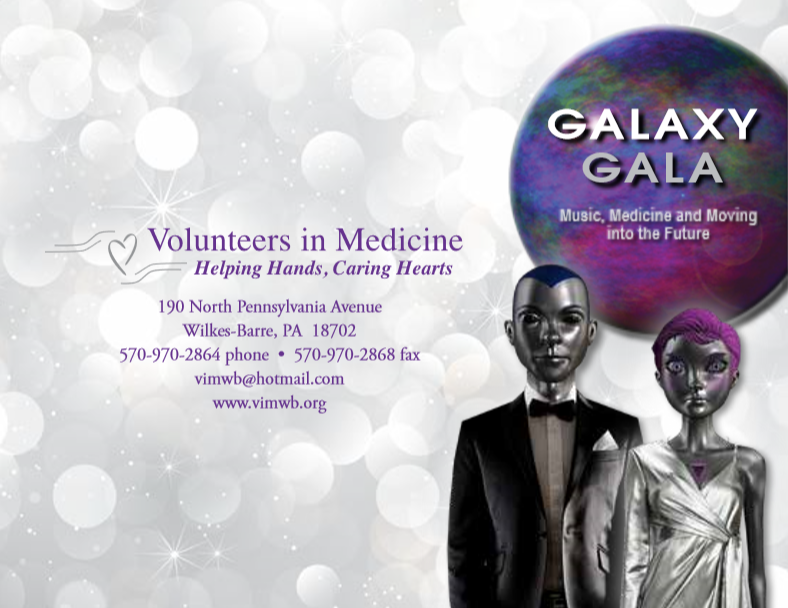 VIM operates solely on donations, grants and proceeds from special events. and the Gala is our biggest fundraiser of the year. 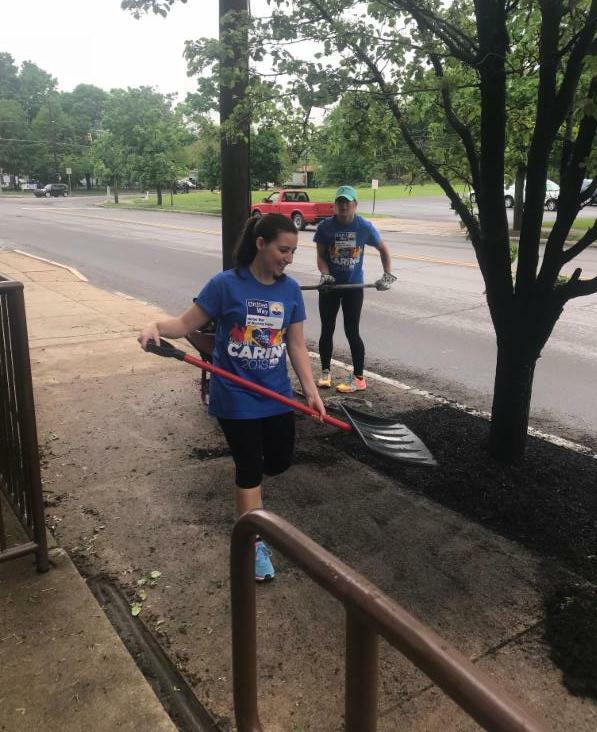 On Thursday, May 17th, volunteers from TMG Health , participated in the United Way's Day of Caring , by spending time cleaning up the clinic's exterior. 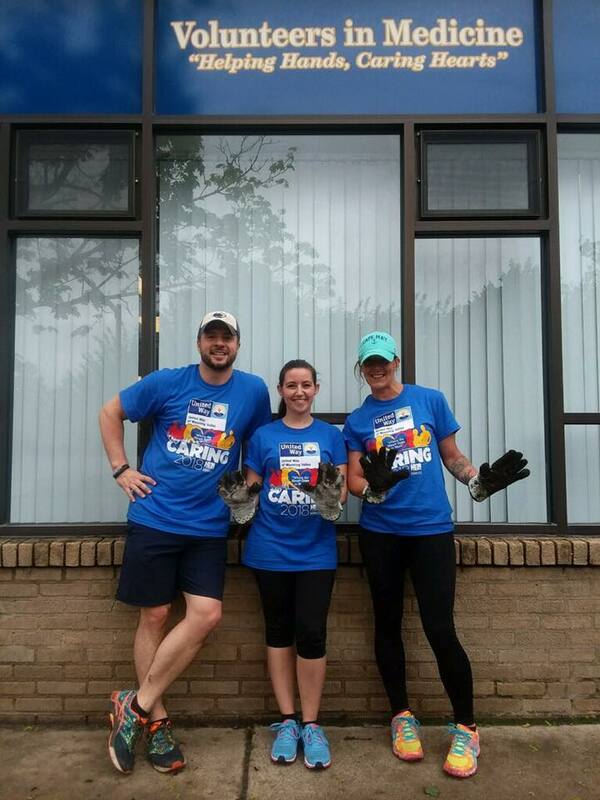 We appreciate all of the hard work Justin, Robyn and Kelli put into the clinic's landscaping. 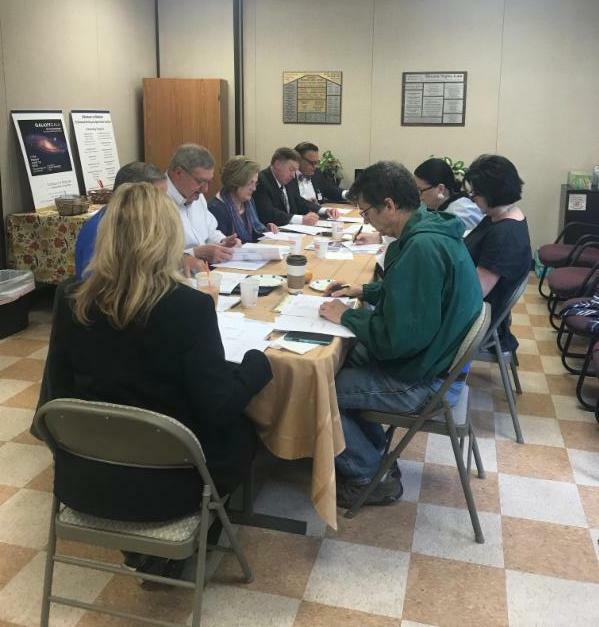 The Board of Volunteers in Medicine had its quarterly meeting on May 17, 2018. Besides all that were in attendance, the meeting also was accessible through the “Zoom” conference call app. 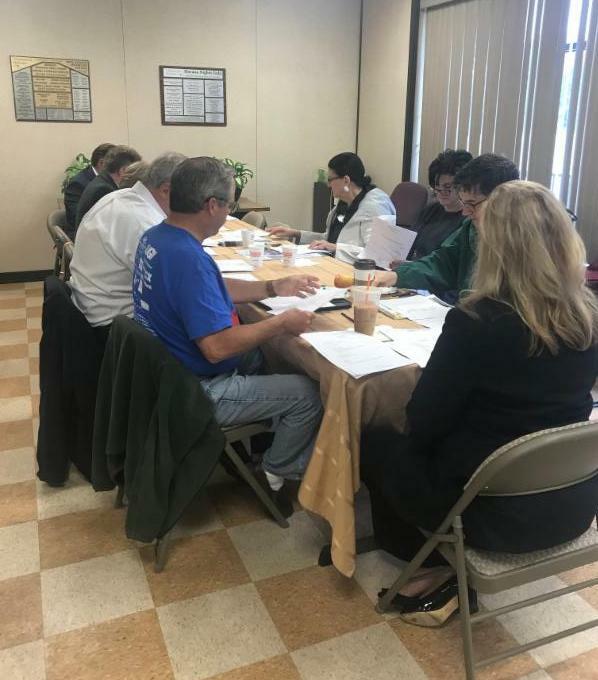 The financials, meeting minutes and the Executive Directors report was approved during the meeting. The Physical Plant Committee made plans to meet the following week to discuss the future improvements of the building. 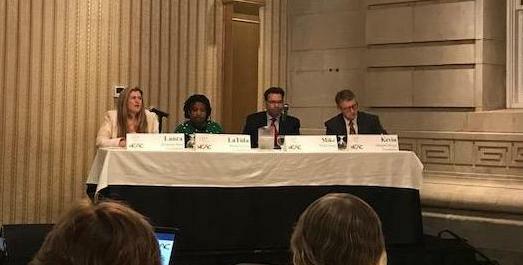 Kelly Ranieli shared some national statistics on free clinics and the increase in uninsured patients that is happening nationally and the importance of continuing to be the safety-net provider for those that still have no affordable access to insurance or medical care. 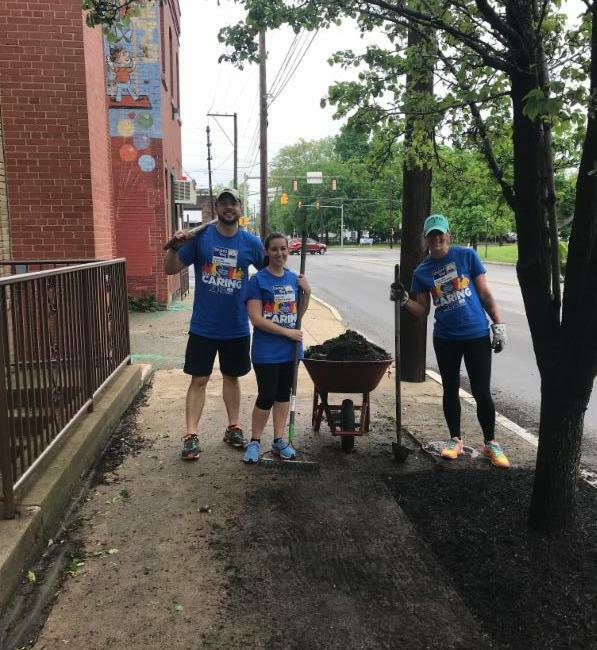 Volunteers in Medicine is sad to announce that Dr. Michael Stas , volunteer podiatrist, will be taking a permanent job position in the state of Ohio beginning in July, 2018. Dr. Stas has been a very dedicated and loyal provider to the clinic, and it is with a heavy heart that we bid him farewell. Over the past several months we have come to know Dr. Stas as a very kind and caring individual with a great sense of humor. 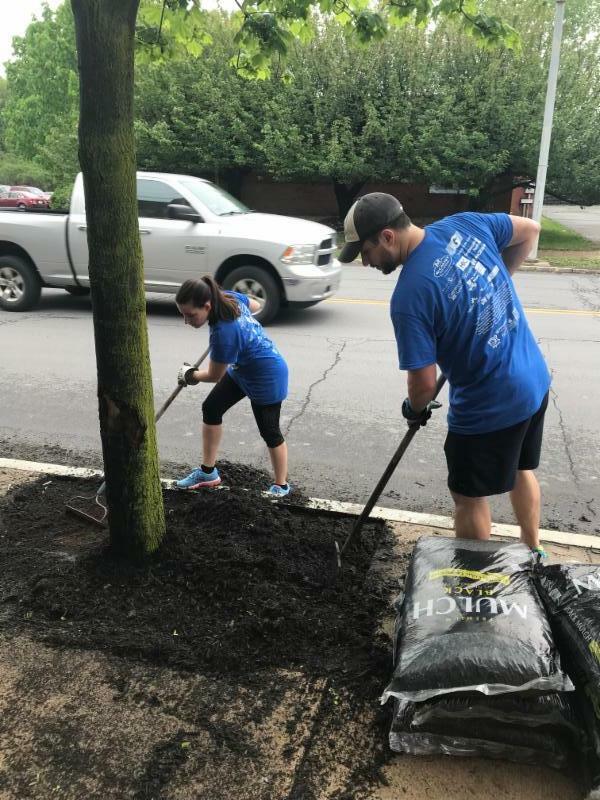 If anyone knows of a Podiatrist that may want to volunteer one or two 1/2 days a week, please call Kelly at 570-970-2864. 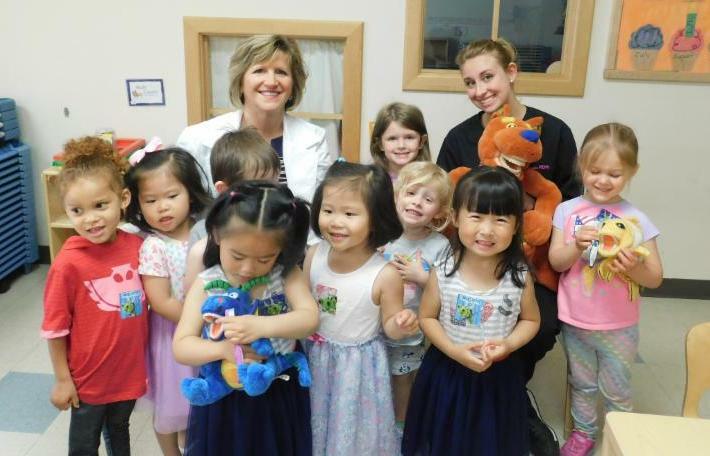 On Tuesday, May 8th, Darcie Schaffer , Manager of the Dental Clinic and Amanda Goy , VIM's dental hygienist, brought the Healthy Smiles Program to the Building Blocks Learning Center in Plains. Later that afternoon, Lidy Roldan , a student from McCann School of Business, joined Darcie at the Nesbitt Day Care Center in Kingston. 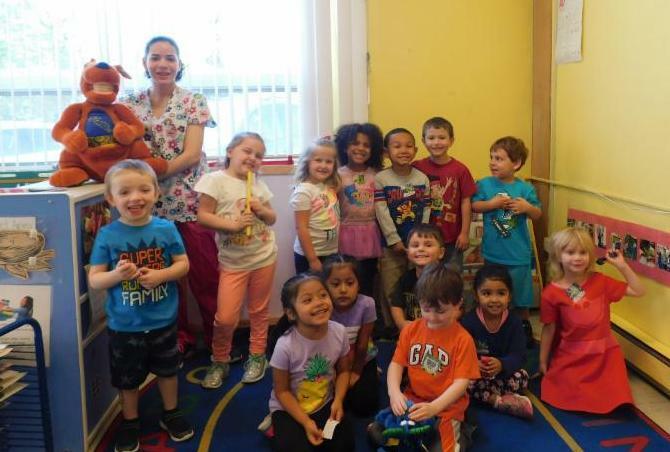 The children at both centers enjoyed practicing proper brushing techniques on Katie the Kangaroo. 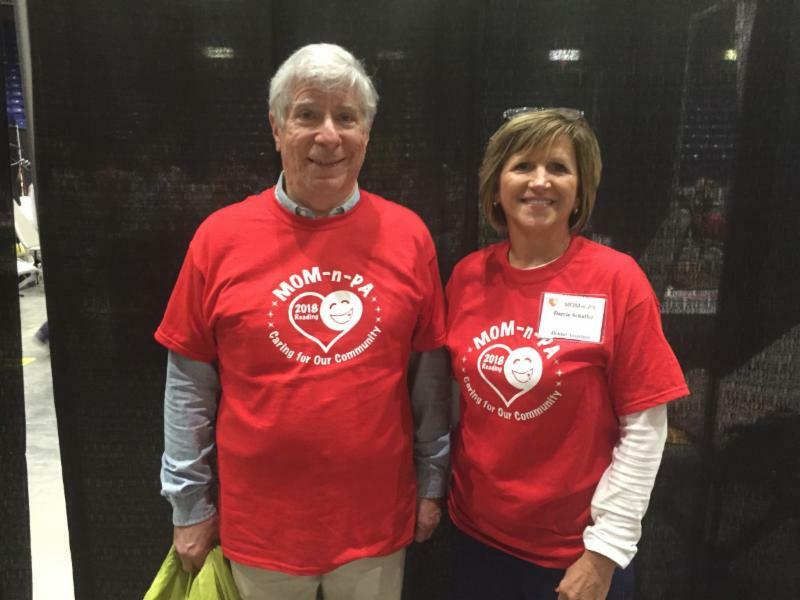 On Saturday, May 19th, Darcie Schaffer and Dr. Rich Grossman , a volunteer dentist at VIM, participated in the sixth annual Missions of Mercy event at the Santander Arena in Reading. 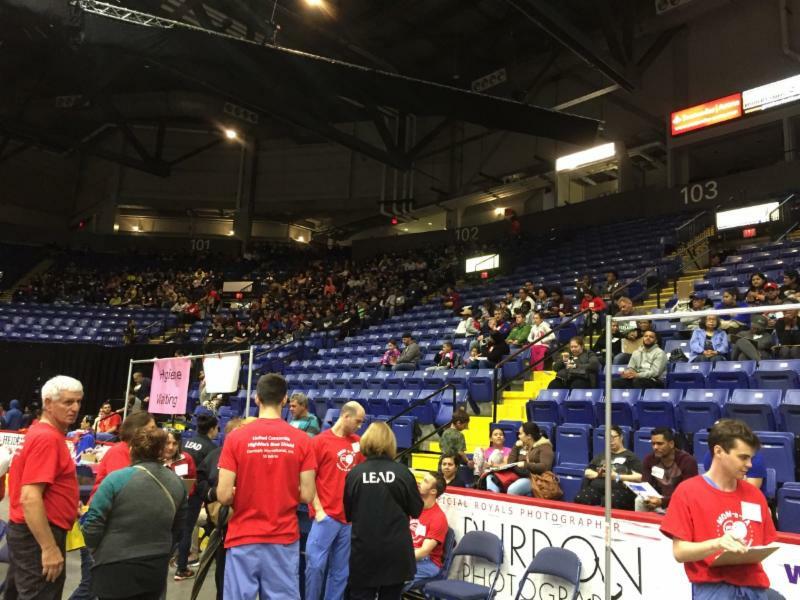 They were among 497 dental, medical and pharmacy professionals, 190 students and 240 other ancillary volunteers. Thanks to their efforts, 1874 dental visits were provided, totaling nearly one million dollars worth of dental services! Next year's event will be held right in our own backyard! 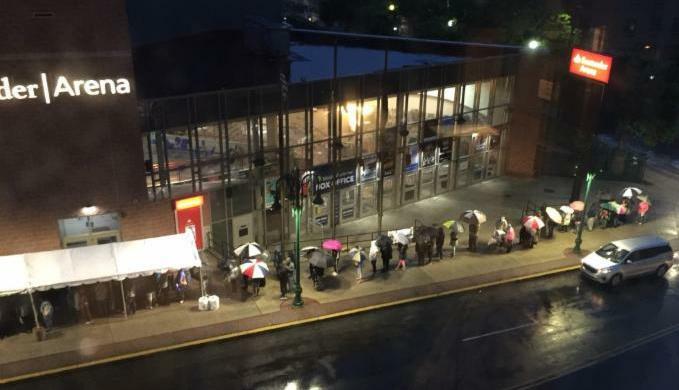 The 7th annual Missions of Mercy event will be held at the Mohegan Sun Arena in Wilkes-Barre on Friday, June 7th and Saturday, June 8th . 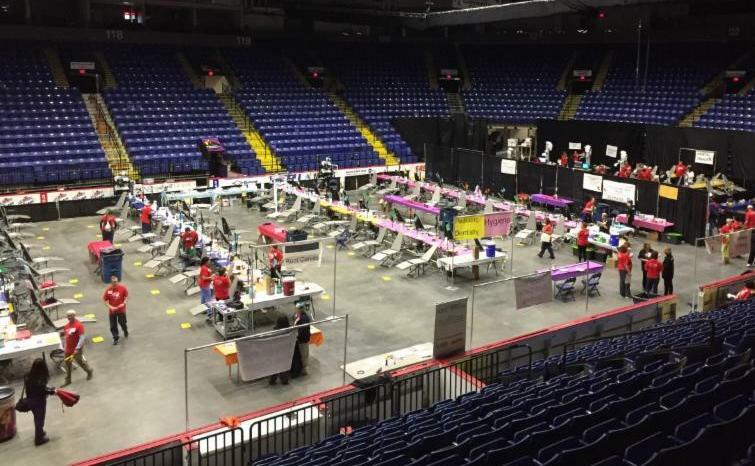 Save the date as numerous dental volunteers will be needed. 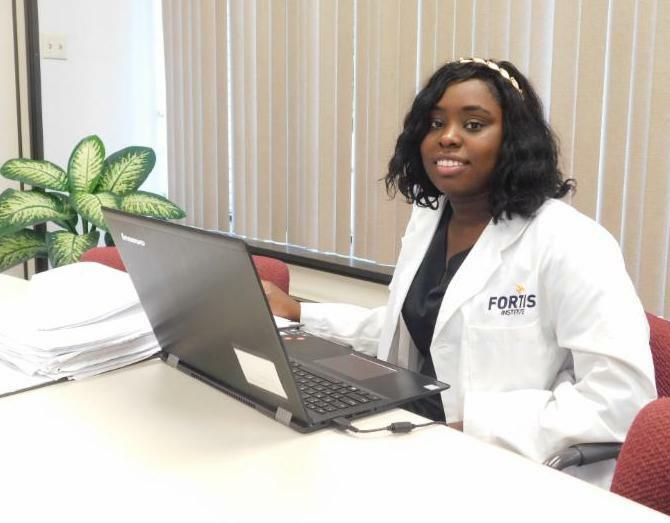 VIM welcomes Carmeltia Chey , a medical assistating extern from the Fortis Institute . She was assigned to VIM in order to gain experience working in a nonprofit clinic . She is excited to complete her schooling and enter the workforce . Joelle Zakrzewski is also a medical assistant student from the Fortis Institute . 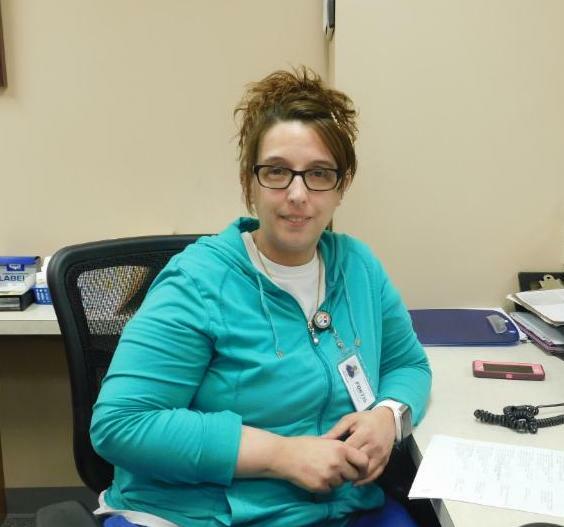 She is interested in learning about the variety of services that the clinic offers. She is also a proud mother of two and an avid Pittsburgh Steelers fan. Kristen Hudak , a Physician Assistant student from Kings's College , spent time shadowing Dr. Durelle Scott and Dr. Susan Sordoni at the clinic this week. She is interested in practicing medicine at St. Luke's Hospital in Bethlehem. 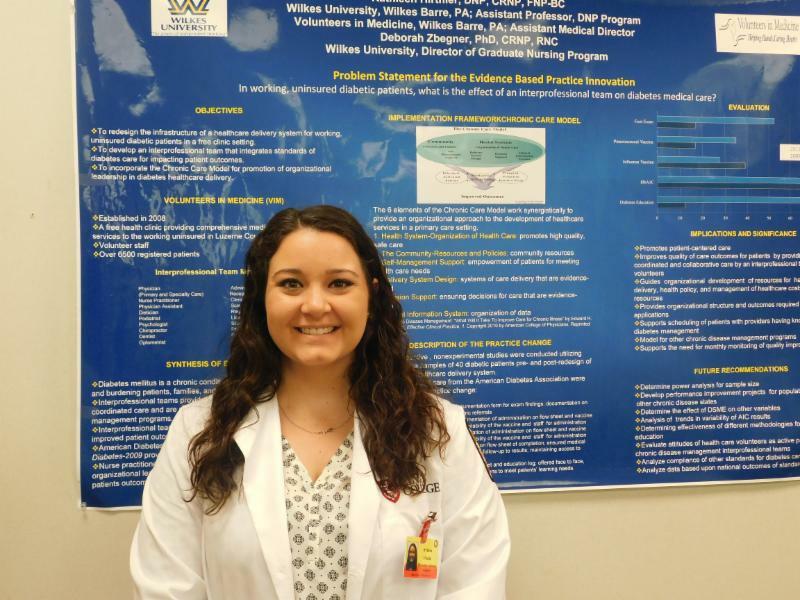 She choose to shadow at VIM to gain hands-on experience before beginning her clinical rotations in July. On Wednesday, May 16th, Amanda Ankner , attended a fundraising webinar hosted by the National Association of Free and Charitable Clinics titled "Free Clinic 911 – First Steps to Closing Your Fundraising Gap" . During the webinar, she learned new ways to build VIM's fundraising capacity, conduct in-depth donor stewardship and tips on successful patient storytelling. 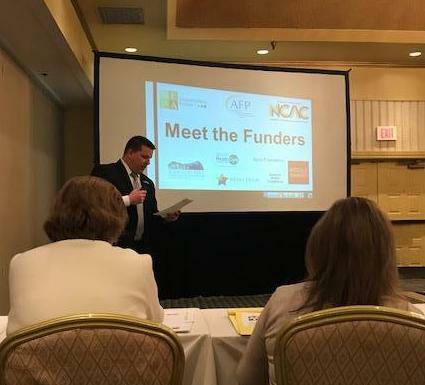 Executive Director & Development Manager Attend "Meet the Funders"
On Thursday, May 24th, Kelly Ranieli , VIM's Executive Director, and Amanda Ankner , VIM's Development Manager attended the "Meet the Funders" conference hosted by the NEPA Alliance at the Radisson Hotel in downtown Scranton. 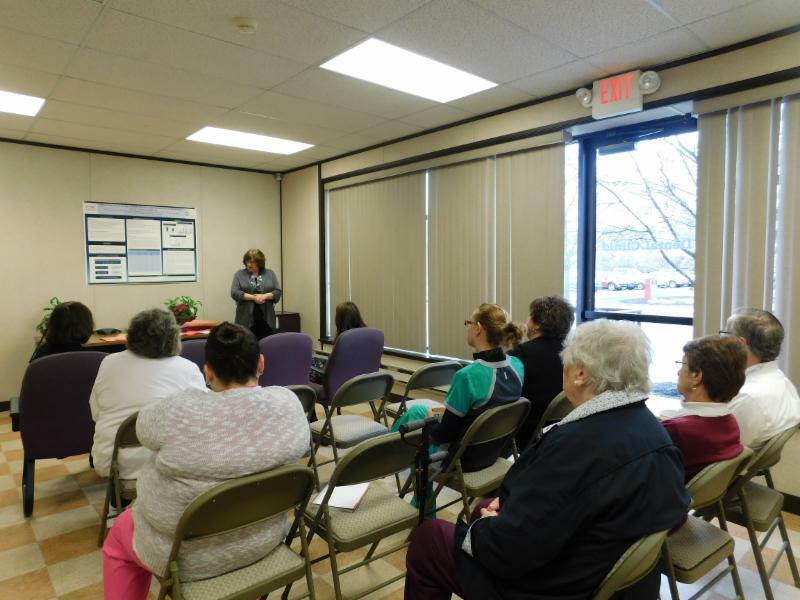 Kelly and Amanda had the opportunity to hear from philanthropic community leaders from the Scranton Area Foundation , Moses Taylor Foundation , Wells Fargo and the Margaret Briggs Foundation . Since 2008, The National Association of Mental Health (NAMI) has promoted Mental Health Awareness Month each May. 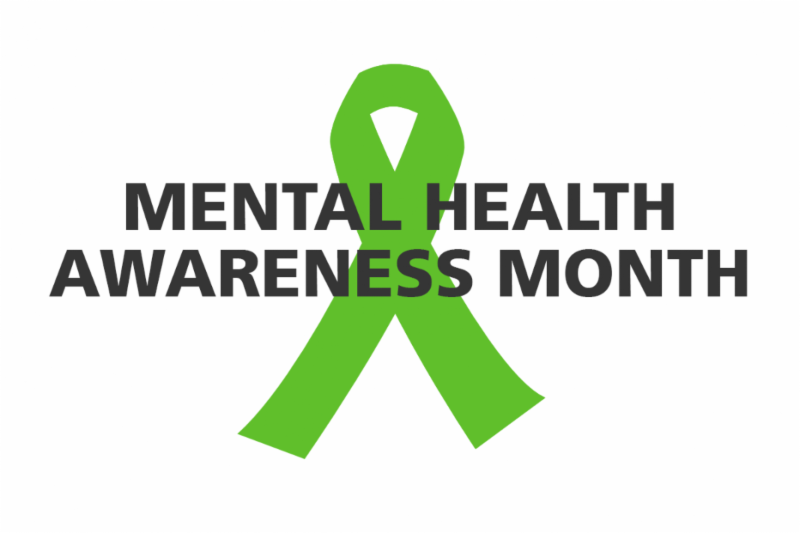 The purpose of Mental Health Awareness Month is to help break the stigma of mental illness , provide support for those afflicted, educate the public, and advocate for policies that support those with mental illness and their families. VIM believes supports the idea that mental health and physical health often reflect each other. When people take care of themselves physically through nutrition, exercise, and a healthy lifestyle , they often achieve both greater physical and mental health. The inverse is also true- when people have stronger mental health, or are making changes to increase their mental health, their ability to live a healthy lifestyle increases. By offering comprehensive counseling services, psychiatric evaluations, and psychiatric medicine management, VIM supports the balance between the physical and mental health domains in our patients. 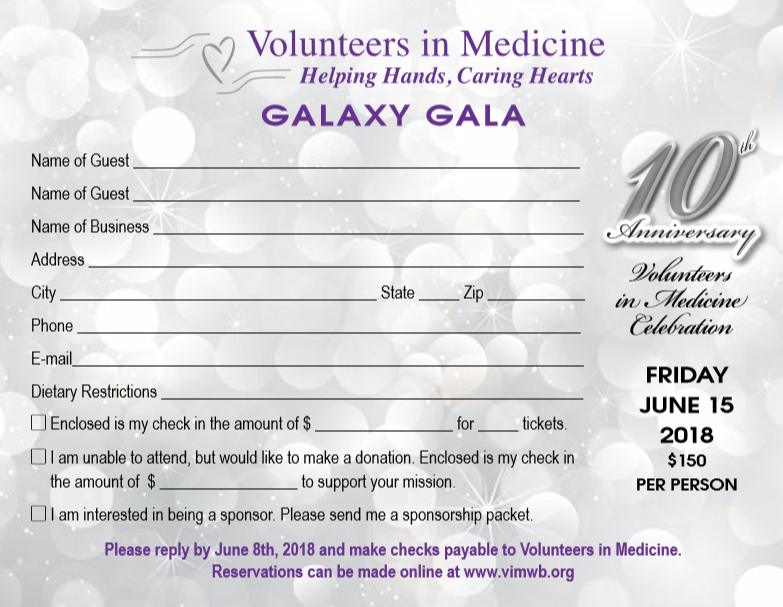 VIM is grateful to have Dr. Gene Lucas , Psychiatric Nurse Practitioner, as a committed volunteer. Dr. Lucas is responsible for providing psychiatric evaluations , medicine management, and patient counseling. Chelsea Collins, MSW is VIM's full time Social Care Coordinator . 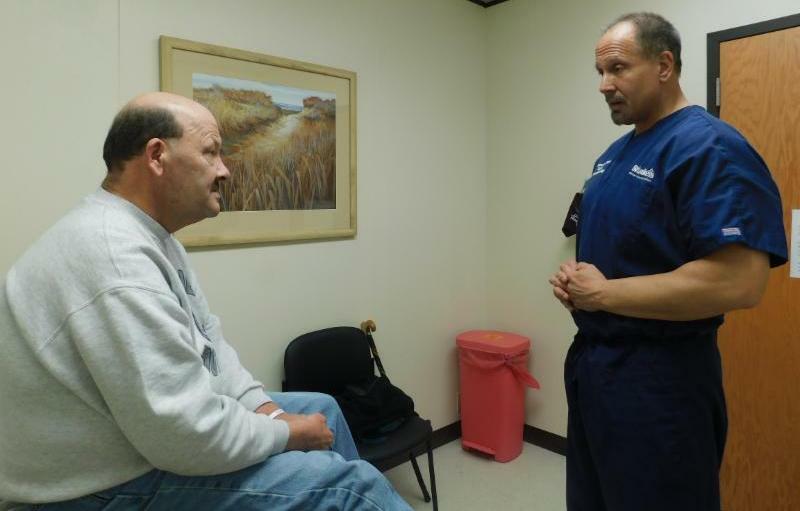 In addition to helping patients fulfill needs such as securing medical assistance, emergency medical assistance, housing, and other benefits, Chelsea also provides individual counseling for VIM patients struggling with mental illness. Chelsea utilizes a mindfulness based CBT approach to working VIM clients to help them actualize their greatest self. Chelsea is also focusing on a Health Equity program to assist patients overcome any issues with food, housing, employment, and transportation.